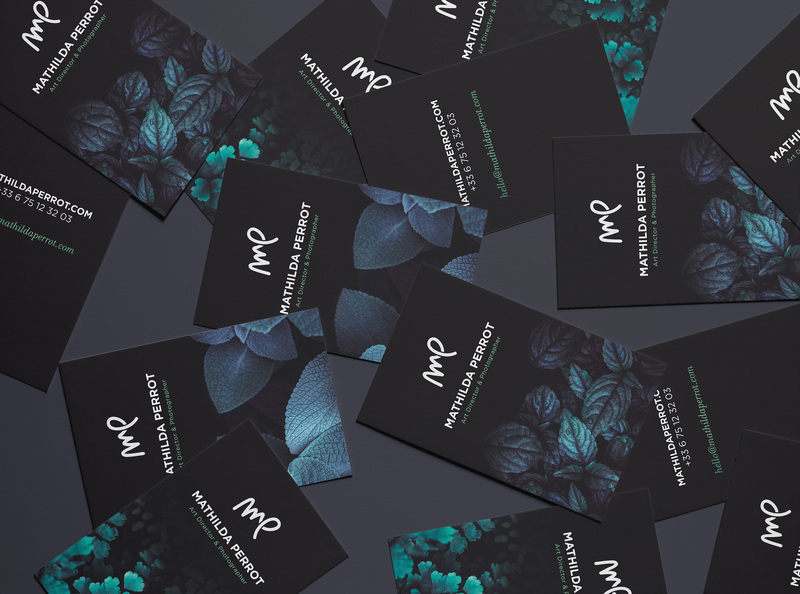 Mathilda Perrot designed these business cards for her personal branding as an art director and photographer in France. “I love to create picture atmospheres and that’s the reason why I imagine the photography and the graphic design together. I designed these business cards to show who I am and what I do: I build strong brands with graphic design and photography reunited, to show their values and to feel their story,” Mathilda said. The monogram logo is a great representation of Mathilda’s brand and the sleek design brings out a mysterious and sophisticated vibe as well.